Our approach to vehicle repair and restoration is unique. We’ll do whatever it takes to preserve your car’s originality whenever possible, allowing it to retain maximum value. If a body part can be properly repaired and metal-finished without compromising the life of that part, our skilled technicians will do it. 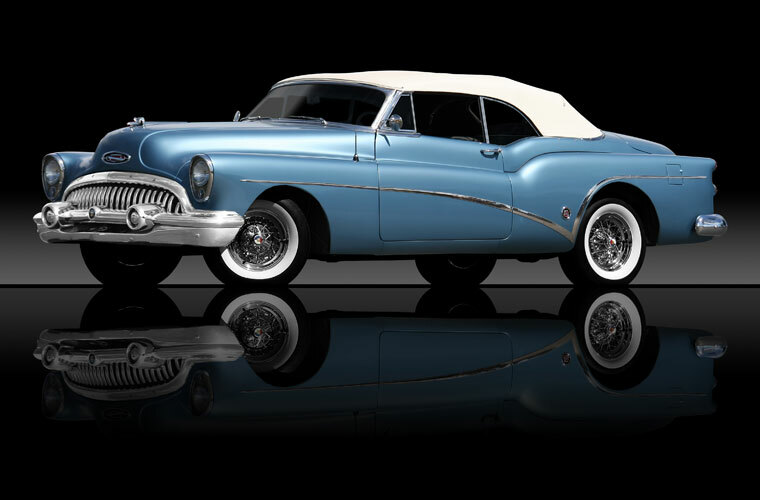 A complete restoration includes not only repair of the parts that can be seen – the body, the trim, the chrome, the wheels, the interior etc. – but the parts that are not necessarily visible or otherwise evident, including the engine and the engine compartment, the trunk, the frame, the driveline, and all ancillary parts like the brakes, accessories, engine cooling system, electrical system, wiring and so on. TLD specializes in all restoration projects, big or small, from the simple repair of a small problem area on your classic to full frame-off, concours quality restorations. Whether it is a complete or partial restoration, we have experience with Domestic and Import, Classics, Antiques, Muscle Cars, Hot Rods, and Trucks. From Chevrolet to Rolls Royce, we can do it all. Our restoration process involves a true commitment to craftsmanship. We continue to set the highest of standards and have developed a unique restoration process that virtually makes your classic new again. TLD employs some of the most highly trained technicians in the industry. Specializing in mechanical, electrical, metal repair/fabrication, paint and customization, our techs are passionate about cars. We also collaborate with numerous specialists to bring your classic back to original specifications. We work with some of the nation’s top subcontractors to duplicate original interiors and fabrics as well as locating those impossible to find parts. A significant number of research hours are dedicated to each project to make sure that we get it right the first time. Many of the great classics and production cars were originally assembled the old fashioned way — by hand. Our master craftsmen re-manufacture a car from the ground up, using a multitude of skills and perseverance. Every component is examined and either reused, rebuilt, or replaced. We are dedicated to a restoration process that faithfully replicates the materials and construction details used by the original builders. Our team sits down with you to discuss exactly what the project will entail. Once a course of action is determined, the project is placed into our shop schedule and carefully monitored during its entire process. Restoration of a car is a daunting task, not one to be undertaken lightly, or by the inexperienced. A full restoration can take from several months to a couple of years and can cost thousands of dollars. Careful planning and execution is mandatory. We work closely with the owners to keep them up to date on the process. In most cases a detailed pictorial of the process is constantly being updated and delivered to the client. Once final assembly begins, we are constantly scrutinizing our work. Fit and finish, extensive mechanical testing and re-evaluation of aspects of the restoration are submitted to our final inspection process. Once we feel that car is 100% complete we schedule a delivery with the owner for a final walk around and sign-off. TLD has been a reputable Restoration Company for almost 30 years. Stop by and see us to discuss your restoration needs.